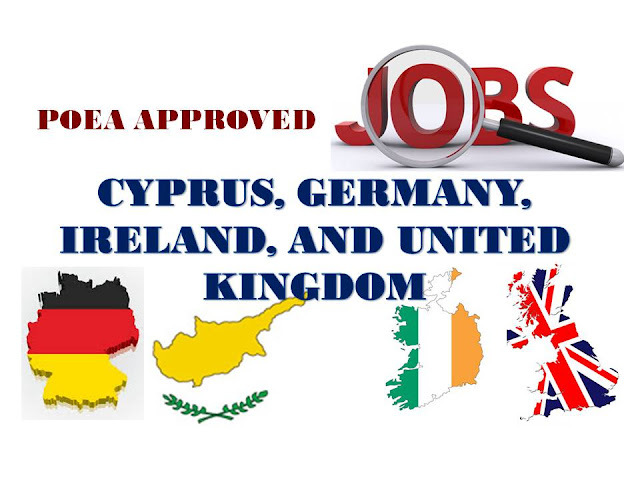 The following are the job orders approved by POEA for Cyprus, Germany, Ireland and United Kingdom. Interested applicants may contact the assigned agency through the contact information on the link below. We do not process job recruitment and we are not affiliated to any of these recruitment agencies. 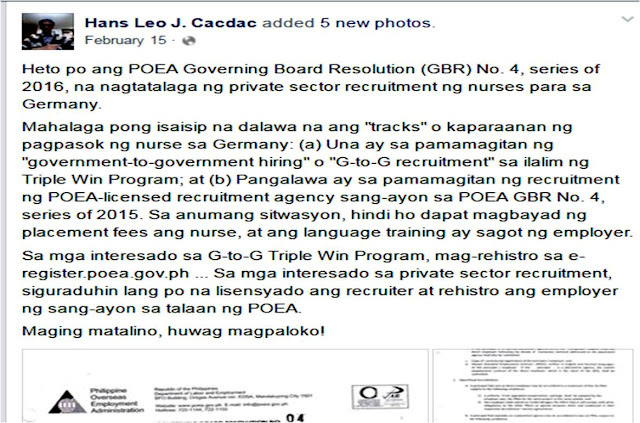 As per rules set by POEA, there should be no placement fee for jobs bound to Ireland and United Kingdom, as well as for household service workers. In addition, recruitment agencies are only allowed to collect placement fee not exceeding the one month equivalent salary for jobs that does not fall into no placement fee category . Any violation on this rule should be reported to the POEA. Violation on the recruitment and placement fee rule is ground for revocation of agency license. We are not affiliated to any of these recruitment agencies and we advise applicants to be vigilant during the application process. Please contact the recruitment agency to apply for the job or for further information. 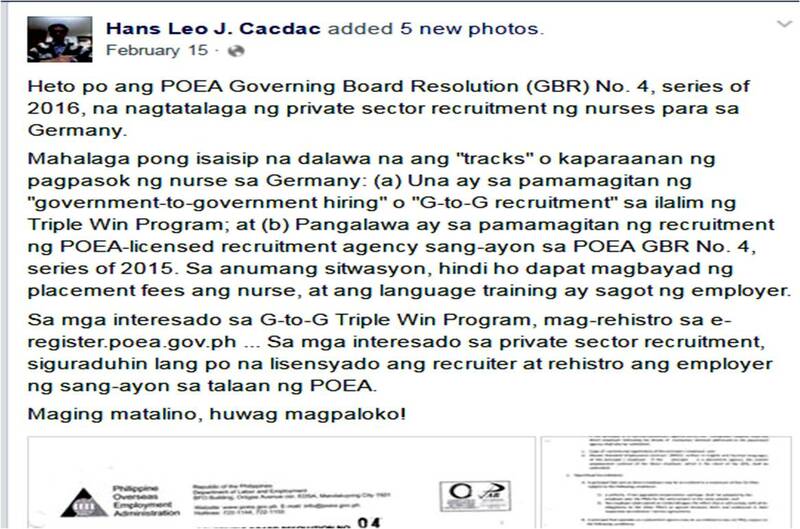 As per rules set by POEA, there should be no placement fee for jobs bound to Ireland and Norway as well as for household service workers. In addition, recruitment agencies are only allowed to collect placement fee not exceeding the one month equivalent salary for jobs that does not fall into no placement fee category . Any violation on this rule should be reported to the POEA. Violation on the recruitment and placement fee rule is ground for revocation of agency license.